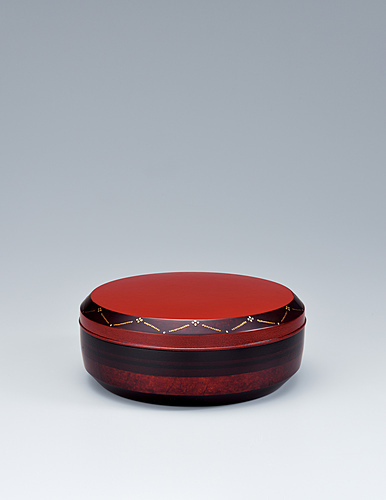 Covered food box of shitai with sasa bamboo design. 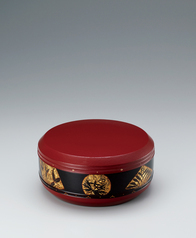 Covered food box of shitai. 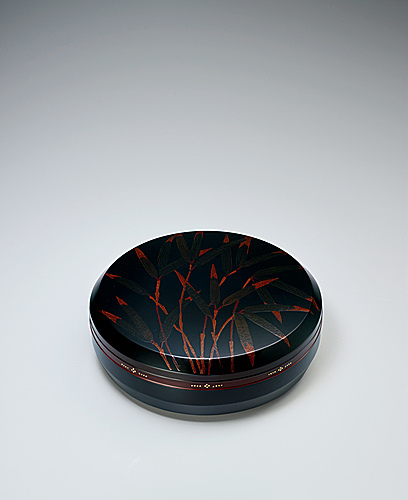 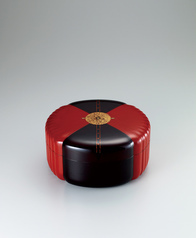 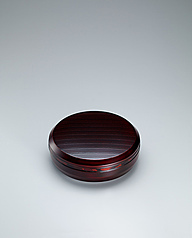 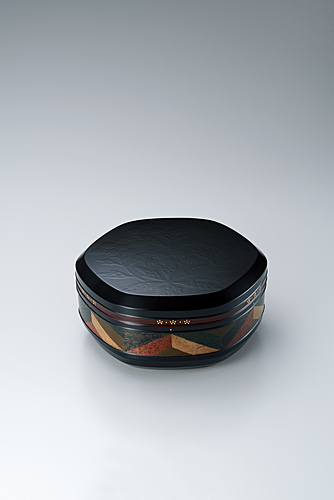 Food box of shitai coated with red urushi.